Featuring enhanced setup and broad connectivity options, the PowerLite 1266 wireless portable projector offers reliable, powerful performance. Delivering 3,600 lumens of color/white brightness, the 1266 achieves more accurate, vivid color, even in well-lit rooms. Widescreen WXGA resolution (1280 x 800) and advanced wired and wireless support - including MHL and HDMI - allow users to project HD-quality presentations from laptops, mobile and streaming devices. 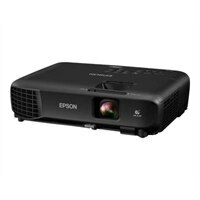 Plus, Epson 3LCD projectors deliver remarkable color accuracy, with up to 3x Higher Color Brightness and up to 3x Wider Color Gamut over competitive DLP projectors.